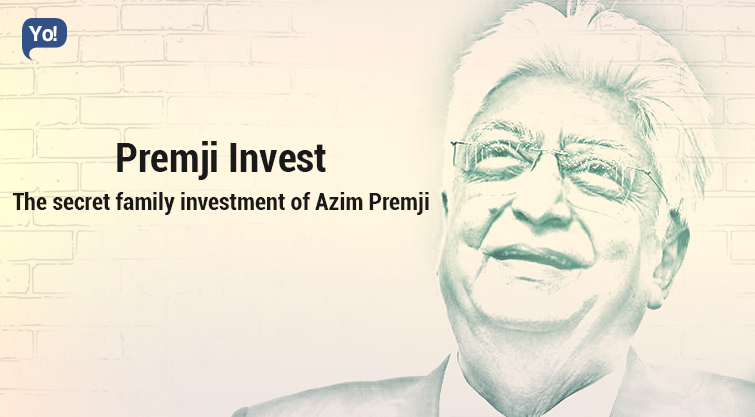 Founded in 2006, PremjiInvest is the family investment office of Wipro’s founder and one of India’s billionaire – Azim Premji. Azim Premji routes all his non-Wipro investments through PI. It is a private equity fund that manages more than $2 Bn of Azim Premji’s personal wealth, by investing in capital markets and also by picking up minority stakes in start-ups across India, the US and China. It is known for making investments in the range of $20 Mn to $60 Mn. The portfolio includes a unique mix of 40 public and private companies that range from sectors such as technology, eCommerce, financial services, retail, fashion, healthcare and consumer goods. PremjiInvest (PI) operates from a two-storeyed building in the Sarjapur campus that also houses Wipro Ltd’s corporate offices. The firm is managed by Mr. Prakash Parthasarathy! A Bachelor’s Degree holder in Computer Science from Birla Institute of Technology & Science, and Post Graduate Diploma holder in Business Administration from the IIM (Bangalore); Prakash brings to the table a strong iBanking experience. He has also worked as an investment professional in the global securities industry, an investment banker and an operating manager running a business vertical, as well. Additionally, Prakash also has an international experience of working in San Francisco (a Principal at Banc of America Securities) and Hong Kong (Investment Banker at BAS Investment Banking Group). Currently, he serves as the CIO at PremjiInvest, as a Non-Executive Nominee Director at HealthCare Global Enterprises Limited and Carnation Auto India, and has also been a Shareholder Director of National Stock Exchange of India since May 2012, as well. What are the kinds of investments made by PremjiInvest? With over $2.5 billion under its management, PremjiInvest has invested in more than 40 companies. Their investments range from fixed income instruments to real estate and listed equities. In his first investment overseas, Azim PremjiInvested around $15 Mn of his personal wealth in Vinod Khosla’s clean-tech fund in the US. Khosla’s green fund investments range from Range Fuels (cellulosic ethanol firm) and LS9 (designs microbes to produce bio-fuels). Invested a total of ₹653 crores along with a bunch of 16 anchor investors in Equitas Holdings – the Chennai-based holding firm for the fifth-largest micro-lender. More recently, PremjiInvest has also invested an undisclosed amount of funding in the eyewear marketplace – Lenskart. This infusion is expected to be somewhere close to ₹200 crores at a whooping valuation of around ₹2000 crores. The family office is now looking even hungrier to invest in the US, especially after hiring Sandesh Patnam. The idea is to build a more diverse investment portfolio, beyond just India. Sandesh, who earlier managed more than $6 Bn (about ₹36,000 crores) in investments while working at Seligman Technology Group, brings in local connections to the firm. What kind of investment mechanism do they follow? Azim Premji has built this parallel empire alongside leading his IT Company – Wipro, and prefers to stay mum about their operations and have constantly avoided a public profile. But then again, that’s what one would expect from the firm of a person who personally is famous for maintaining a low profile. They believe in letting their work speak for itself! And with names like Premji and Wipro backing them, they don’t really need to make it to the headlines to show their presence. PI’s investment focus is broader. They invest in listed firms and debt, but at the same time they, being a VC and PE firm, PI also makes early stage and late-stage investments as well. This diversification of PremjiInvest’s portfolio may just be the billionaire’s forte, given that he transformed Wipro from an edible oil manufacturer to India’s third largest IT services company in just three decades; and not to forget, the name that they built for themselves in the consumer goods and electronics segments. To begin with – PI is an “Evergreen” fund that operates without a pre-set time period or limits, and does not need to raise funds, as well. Its source of funds is Azim Premji. Having said that, PI has autonomy to pick its investments, and Premji maintains a very minimal say in the decision making! PI has a team of 12 people who help them to find investment opportunities and monitor their investments. PI makes small and large investments, but mainly in sectors where Wipro is not present, but keeping in mind the market opportunity and the management team of the company. Two factors close to their heart while deciding on funding a company include: “significant returns” and “being in a position to build a great organization”. Unlike other venture funds, PI has the leverage of being under no constraint to make either any given number of deals or invest an allocated capital. Their investments happen only when they see an actual opportunity! This also gives PI the luxury of time. The stakes may vary from less than 1% to between 25% and 30% in a portfolio company. Although, special preference is given to a “significant minority stake”! This helps the company to maintain a sufficient amount of capital in hand for any lucrative future deals. Lastly, their style of functioning and the secrecy also extends to their exits, too. They don’t follow any standard exit routes, and follow an investment window of up to seven years. With a net worth of $16.5 Bn –– Azim Hashim Premji is an Indian business tycoon, investor, and philanthropist. and is informally also known as the Czar of the Indian IT Industry. He is the founder & chairman of Wipro Limited, and has single handedly guided Wipro to become one of the global leaders in the Software Industry. As of date, Azim Premji owns 73% of Wipro! He has not only been voted among the 20 most powerful men in the world by Asiaweek, and has been listed among the 100 most influential people by TIME Magazine, but also accounts for several accolades as well. Aside Wipro, Premji also owns a PE fund called PremjiInvest, which manages his $2 billion worth of personal portfolio. Azim Premji was born on the 24th July 1945 in Bombay, to a family that originated from Kutch in Gujarat. His father was a noted businessman and was known as Rice King of Burma. His father had rejected the invitation of Jinnah to live in Pakistan after partition, and had chosen to remain in India. Azim Premji holds a Bachelor of Science in Electrical Engineering degree from the Stanford University in the USA. He is married to Yasmeen and has two kids: Rishad and Tariq. In 1945, his father had incorporated Western Indian Vegetable Products Limited, which was based at a small town in the Jalgaon district of Maharashtra. His primary business was to manufacture cooking oil under the brand name Sunflower Vanaspati, and a laundry soap called 787, a by-product of oil manufacture. After an untimely demise of his father in 1966, the then 21-year-old Azim Premji returned home from Stanford University, and took charge of the company. Over the period of time, Azim Premji successfully diversified the company to several other products including bakery fats, ethnic ingredient based toiletries, hair care soaps, baby toiletries, lighting products, and hydraulic cylinders, as well. By the 80s, Azim saw the growing and emerging IT sector and decided to take advantage of the vacuum that was left behind by the ejection of IBM from India. And with that, they formally entered the high-technology sector! The company name was changed to Wipro. They began by manufacturing minicomputers under technological collaboration with an American company ‘Sentinel Computer Corporation’, and gradually shifted their focus from soaps to software. Over the period of time, Azim has successfully managed to turn around, what was earlier a $2 Mn hydrogenated cooking fat company into a company with a market cap of ₹1.37 lakh crores and a diversified portfolio of IT, BPO and R&D Services, that holds presence in 58 countries.